Responsive web design can transform your company’s website into an attractive, user-friendly space that captures the attention of your prospects and engages them in your products or services. But as much as responsive design visually engages your prospects and customers, what’s also important is how its technical aspects fulfill the arduous requirements of Google and the other search engines. Put most simply, responsive design responds to the user’s screen, whatever size or type it may be. Today, your prospects and customers may find your site with their smartphone, tablet, laptop or desktop computer. But they might also find you while browsing on a game console, their Apple Watch or an internet-connected TV. Virtual and augmented reality devices are starting to grab a slice of the market as well. Whatever device visitors use to find your site, responsive design adapts to the constraints of that device quickly and seamlessly. This provides visitors to your site with an exceptional user experience (UX), where they can read text, view images and navigate the site’s pages easily. This flexible approach to website design also adapts to different browsers (Internet Explorer, Firefox, Chrome, etc.) and platforms (Windows, Apple/Mac, Android). It’s important to note that responsiveness doesn’t simply mean shrinking or expanding the site to fit a screen. Instead, a responsive design rearranges key elements of the website to meet every demand of the user’s device, platform and browser. Ask For a FREE 20-Minute Consultation! Today, mobile technology drives the majority of consumer behavior. In fact, a whopping 66 percent of the world’s population uses a mobile device — an 80 percent increase since 2012. In North America, mobile accounts equal 106 percent of the population (exceeding the total population because many users have more than one mobile account). 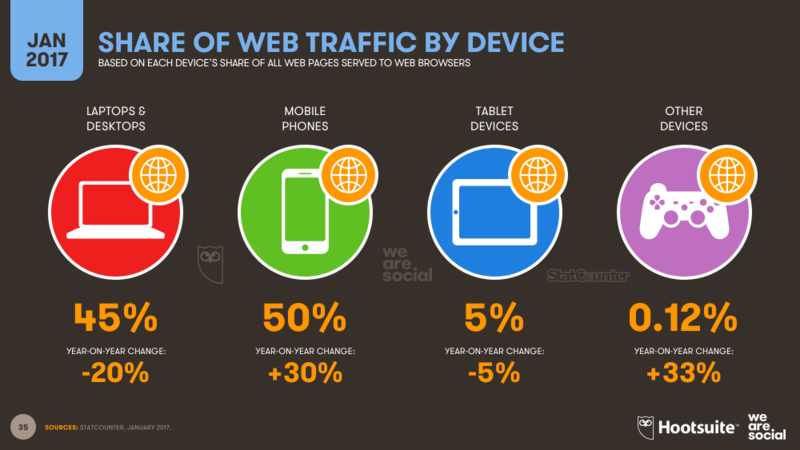 More than half of today’s internet searches are conducted from a mobile device. In fact, some statistics estimate that number is approaching 60 percent. 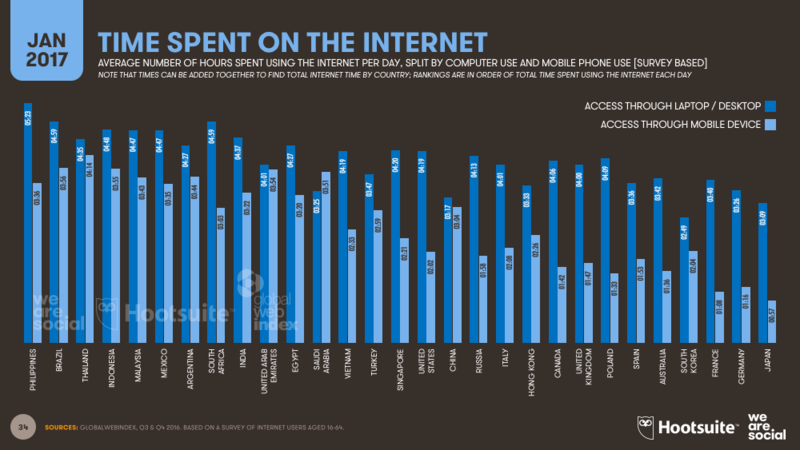 Americans spend an average of more than four hours per day on the internet, more than half of that time via a mobile device. Because such a large portion of your website traffic comes via mobile device, you must provide a great user experience and lightning-fast response time. In fact, you have about eight seconds to make an impression once a visitor reaches your site your site. If your site is slow to load, they may never get there at all. If you care about SEO and where your site falls in the search engine results, responsive web design is not an option. Google, anticipating this exponential growth of mobile use, began pushing websites to adopt responsive design in early 2015. Today, unless your site is optimized for use on mobile devices, Google won’t include you in mobile SERPs. Unless you are an experienced programmer, the technical details of responsive web design can be mind-boggling. As important as your online presence is for your business, professional website design is the one way to ensure that your site meets all the criteria for responsiveness. Be Locally SEO helps companies achieve their marketing goals through search engine optimization, search engine marketing and web design. Contact us today to learn more about how responsive web design can benefit your business.